A refurbishment and bedroom upgrade for Hadley Park House Hotel in Telford has paid dividends as following a recent inspection by the AA, the hotel received an extra star, achieving prestigious four-star status. The family-owned 22-bedroom hotel which employs 40 staff has recently invested in a £100,000 refurbishment programme. The project focused on all 12 bedrooms in the original Georgian house which were completely redecorated and new carpets, lighting, hard and soft furnishings installed. The hotel’s conservatory restaurant, adjacent bar, Morning Room and Lounge have also had a makeover with redecoration, new lighting and the extensive wood flooring taken back to reveal the original floorboards. New carpets have been laid in the hotel’s entrance and reception area. The refurbishment has been designed to ensure the hotel seamlessly caters for both business, leisure and wedding guests alike, providing both residents and non-residents with the highest level of comfort and style. Mark Lewis and Geraldine Lewis, owners of Hadley Park House Hotel said the four-star accolade was a tribute to their employees as well as recognition of improved quality standards throughout the hotel. “Hadley Park House Hotel is in a unique position in that we are a family business and we work hard to maintain exceptional quality and standards. As well as our strong links and commitment to the local community and local charities, the business is central to the bigger tourism picture providing Shropshire with a quality hotel which attracts both business and leisure travellers. 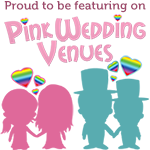 The four-star status provides our unique hotel a distinct point of difference, and this continues to be an exciting time for the hotel and we would love local people to pop in and see the changes.” Hadley Park House Hotel has been twice voted Best Town Wedding Venue in the West Midlands at the Wedding Industry Awards in 2015 and 2016. The hotel also has 1 AA Rosette for food quality.